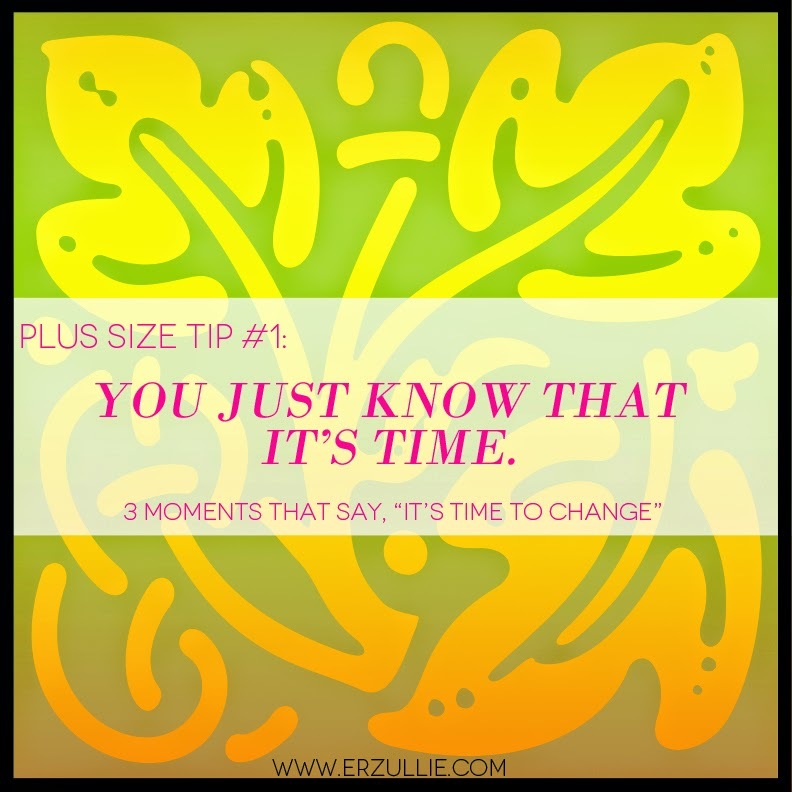 PLUS SIZE LIFE: 3 MOMENTS THAT SAY, "IT'S TIME TO CHANGE"
Nothing is permanent in this world, and we all can’t help it if we evolve from one self to another. 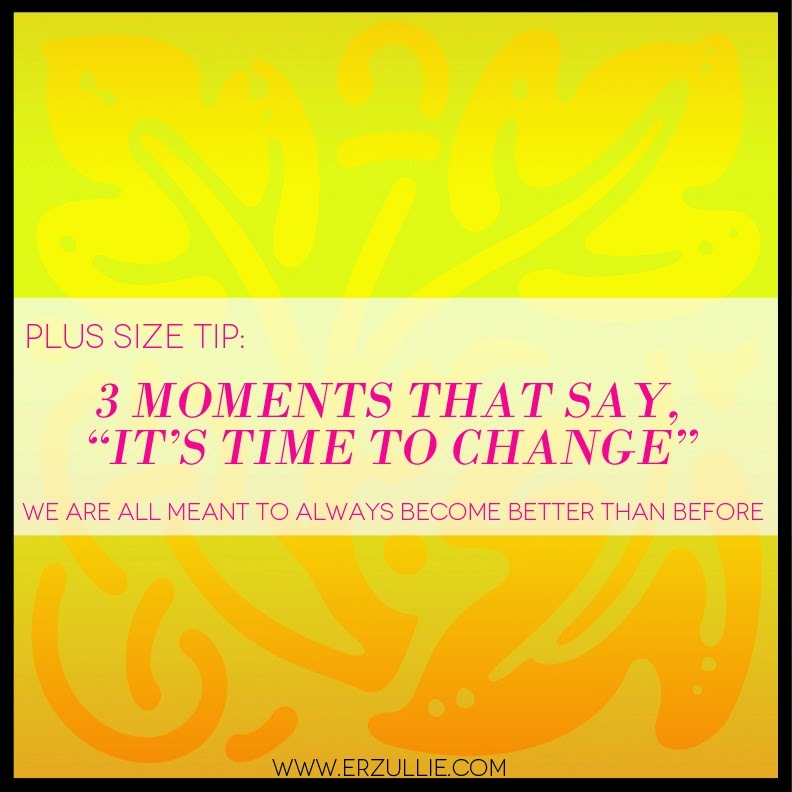 As such, in the cycle of change when do we recognize the signs that it’s time to say “good bye” to our old self and embrace the new one that knows of a better life? Here are my experiences. If you are very in tune with yourself and your needs, then most probably you know you have been yelling for something new and bright in your life. Embrace it. If you know it’s time to change, then it’s time to change. 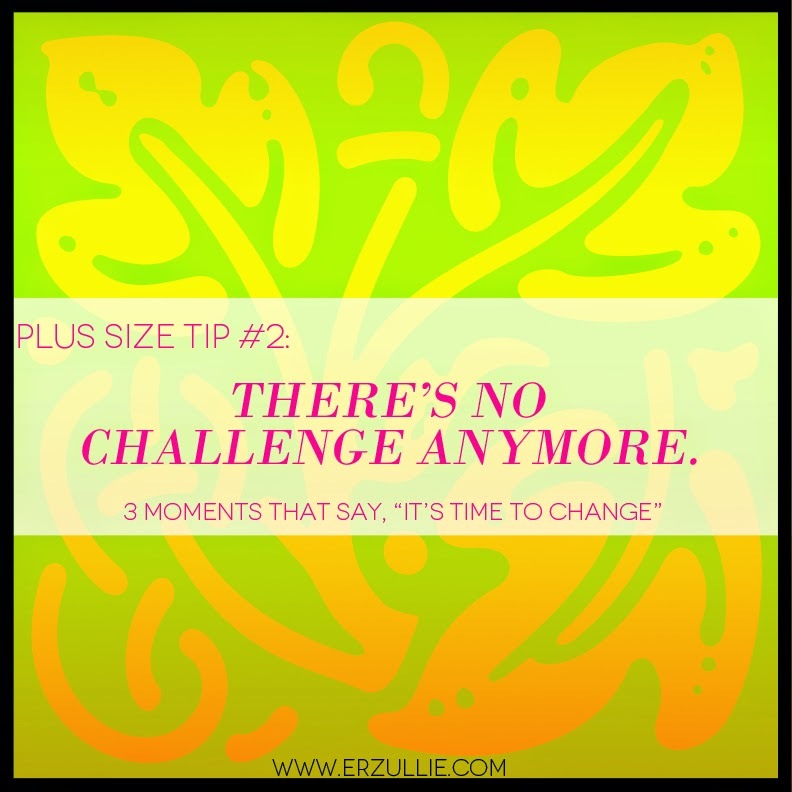 #2 There’s no challenge anymore. It’s not that you are a drama queen. Wanting a challenge in life can be healthy for someone because overcoming it boosts self-esteem and pushes you to go further than you thought you could. Challenges provide room for growth and if you feel that there is a lack of that, then maybe it’s time to look for some. You have mastered this current self already. Time to elevate. 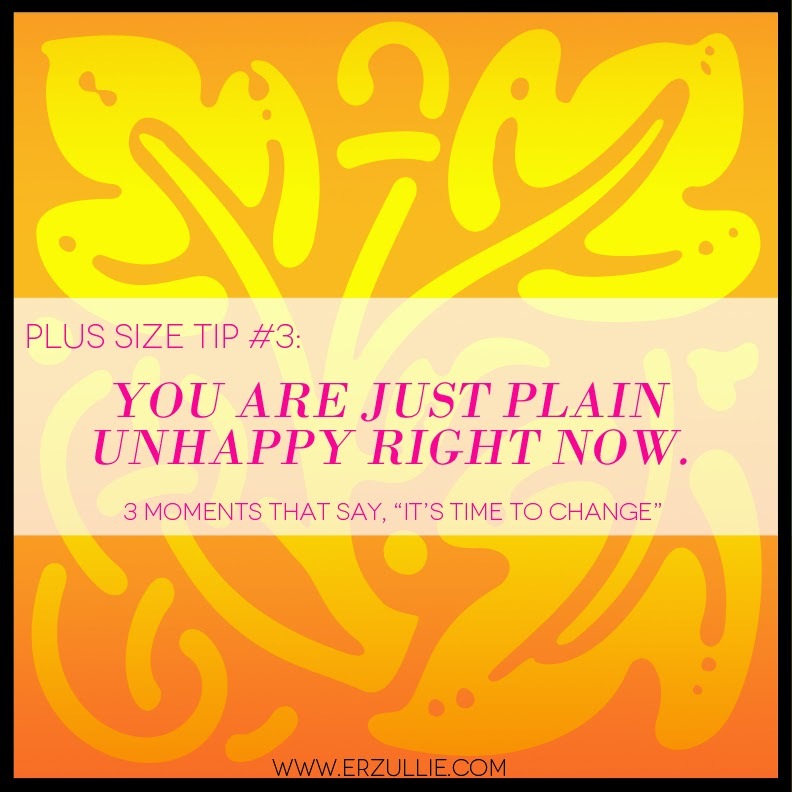 #3 You are just plain unhappy right now. The truth is, the world is only as kind or as harsh as we perceive it to be. We cannot control what is out there. As such, we cannot wait for the world to change for the life we want. We have to change for it. So if you are unhappy and want to have something new, then maybe it’s time for you to embrace a whole new self --- maybe a more positive one?